The kids have been on Christmas holidays for fifteen days now. 21,600 minutes to be exact. 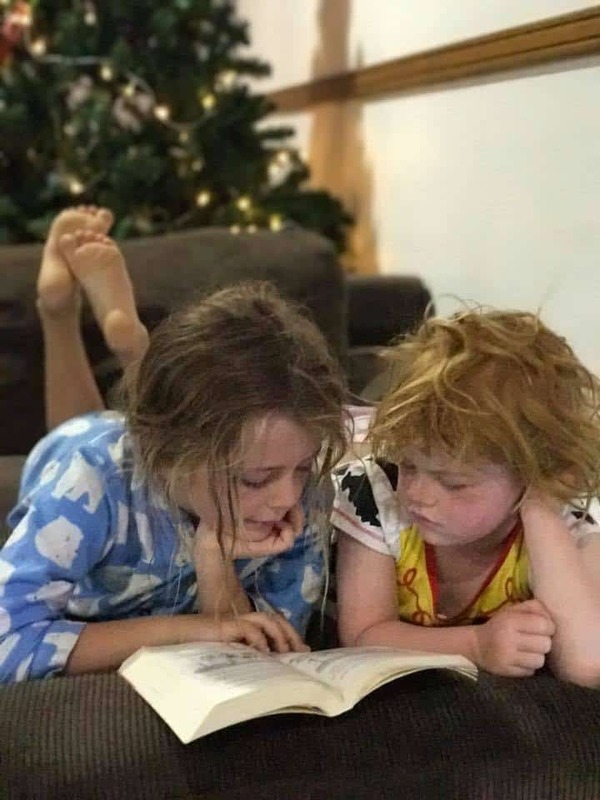 I estimate that they’ve been arguing for 19,600 of those minutes, accounting for the brief respite of sleep and yesterday morning when they were a bit cute for five minutes while the Big Sister read the Little Sister a story. They move from room to room, leaving decimation in their paths. It’s all I can do with my days to referee their arguments, keep up with feeding them and washing the endless stream of costume changes. So while my Facebook feed is filled with Christmas craft, I cannot bring myself to contemplate adding any more mess to our already messy days. I do find myself in a conundrum though; the farm is too stinky at the moment* to demand they spend extended periods outside and I don’t want them to develop American accents from too much time in front of the box. So in the interests of saving my school holiday sanity, and yours, I’ve compiled 11 fun idea for Christmas cooking with kids. This salt dough is great for moulding and won’t leave your kitchen cupboards covered in stickiness. You do need to have the oven on for a few hours, so you may want to avoid this activity in the middle of the day. Get the recipe here. That’s the beauty of this idea for Christmas cooking with kids – the baking step is removed. No mixing and waiting for the construction materials, just crack open a packet of nice biscuits, mix up your icing and Frosty’s your uncle! Get the recipe from Kidspot here. I’ll be straight with you, there’s a mess-risk with this recipe. That said, you can minimise the mayhem by making the dough while they’re watching TV (or while they’re asleep at night) and refridgerate it. Less arguments about who gets to add what and fewer ingredients tipped on the bench instead of in the bowl. Get the recipe here. Make the trees, then let the kids go crazy decorating them. 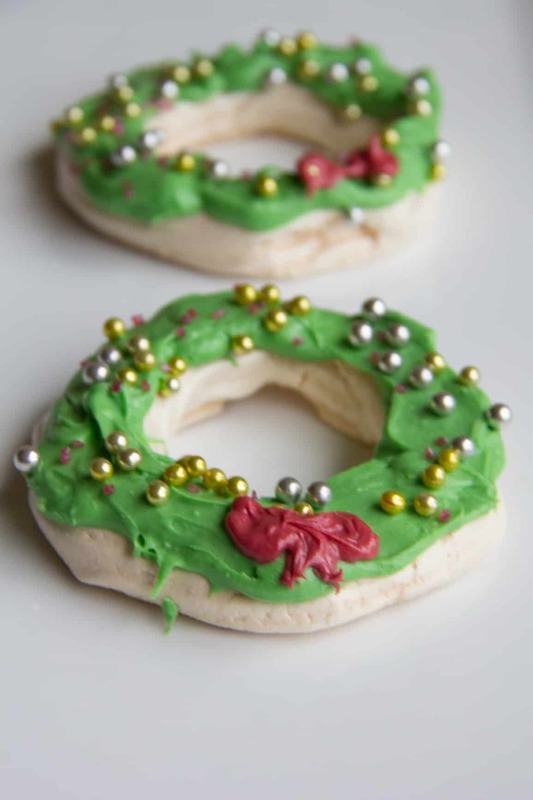 Get the recipe from the decorated cookie. These melted snowman biscuits are a terrific bring-a-plate for kids Christmas parties. Stressed school holiday Mum hack: skip the making the biscuits and let the kids decorate a packet of arrowroot biscuits instead. Get the recipe from Be a Fun Mum. If your kids are as hungry as mine on school holidays, you’re likely finding yourself in the kitchen a dozen times a day, so a reindeer sandwich is an easy way to inject a bit of fun into a snack with minimum fuss. Get the recipe from And Everything Sweet here. Start dinner early and get the kids to make their own snowman pizza. Stressed mum bonus: kids are ten times more likely to eat a dinner they’ve made themselves without complaint***. Get the recipe here. 5 minutes? That kind of patience I can muster! Set the kids up to decorate these biscuits, have a cup of coffee and scroll through your facebook feed with zero Christmas craft guilt. Get the recipe from Bake Play Smile. This is another recipe you can bake ahead to avoid kids’ short attention spans (and hot weather tempers). Whip up a meringue mix, pipe them into little circles and bake them while the kids catch back-to-back Paw Patrol episodes. After they’ve cooled let them ice them with melted white chocolate tinted with food dye and decorate with cashous. Get my no-fail meringue recipe here. 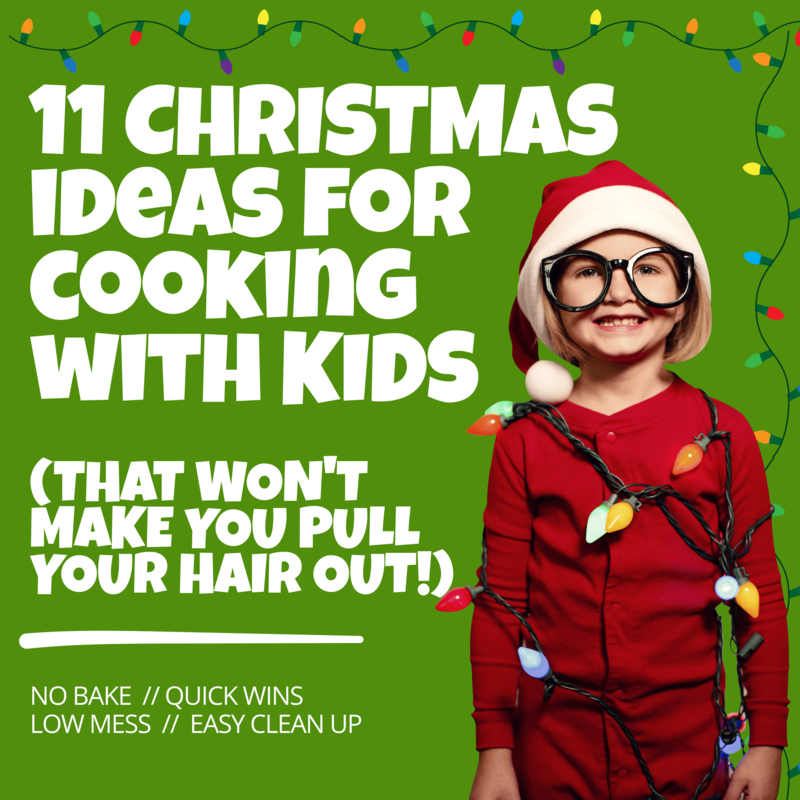 So there you have it, friends, eleven fun ideas for Christmas cooking with kids that shouldn’t end in tears (yours or theirs!) If you’re looking for more Christmas inspiration, be sure to grab a copy of my FREE 12 days of Christmas cookbook! Christmas is on the door , and your post “fun ideas for Christmas cooking with kids” is really funny. I like it. waiting to read your next Post. I likes your “fun ideas for Christmas” very much. I sincerely appreciate the recommendation. I would be very interested to hear more news on this.